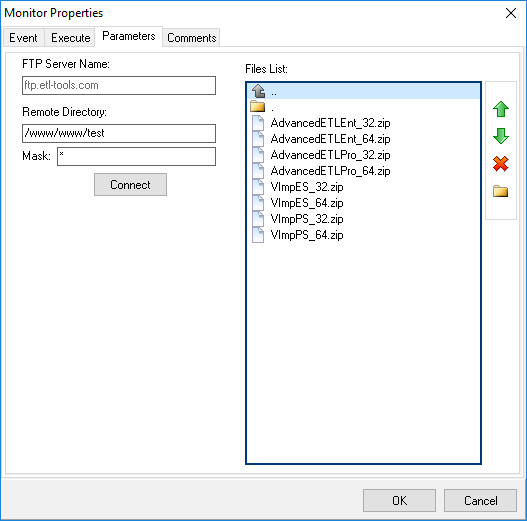 The Ftp Monitor checks FTP server directories for new files. 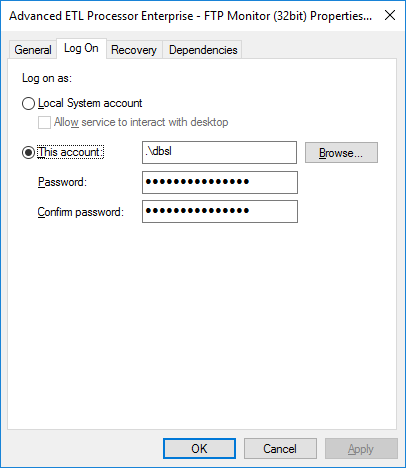 Automatically performs user-defined tasks and actions. 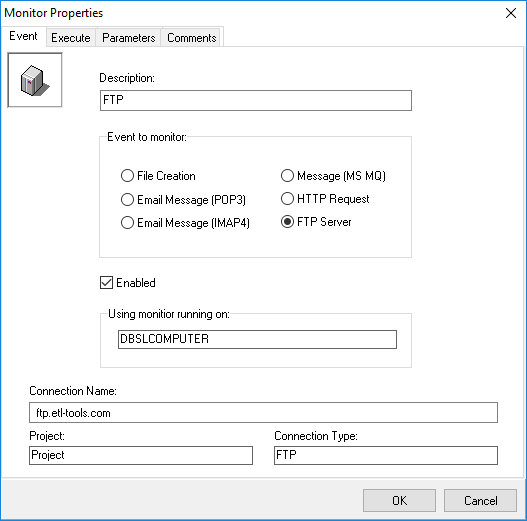 FTP Monitor is automatically installed during setup but not configured. 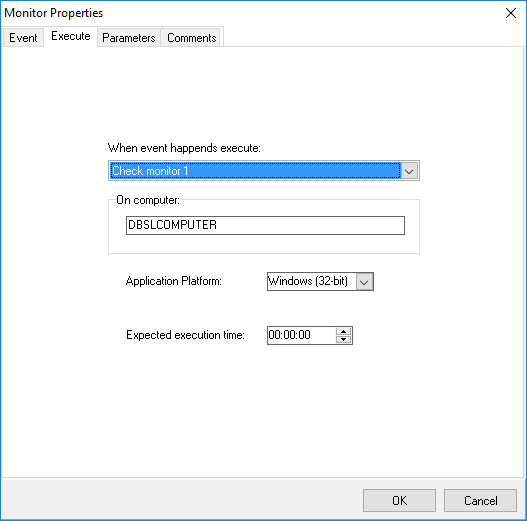 The commands above must be executed as administrator (elevated). 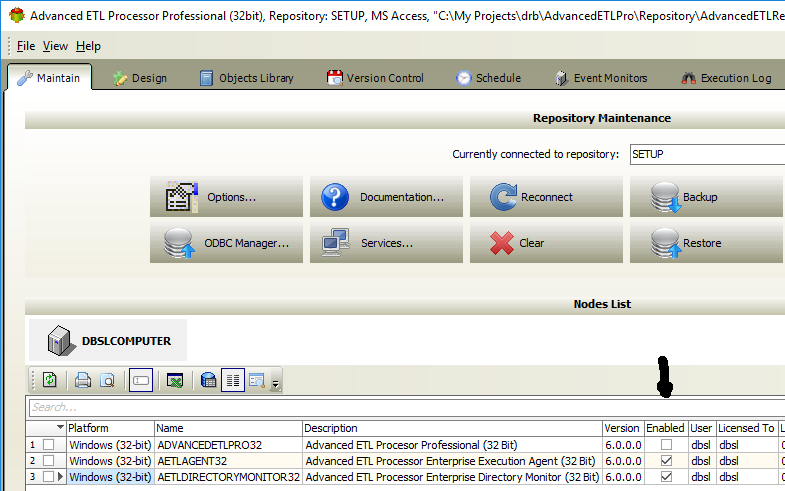 It is recommended to run FTP Monitor using the same user used to design Packages/Transformations/SQL scripts. 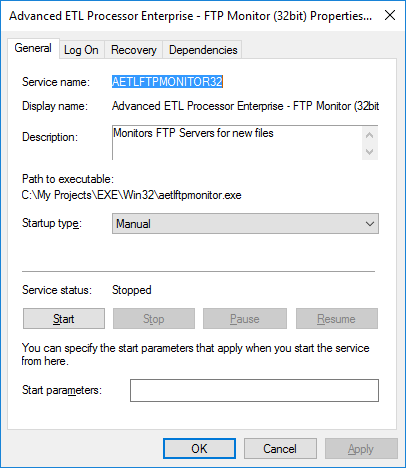 FTP Monitor is only available with Enterprise Version.